Soon after I’ve started this blog, I told a story of a newly found perfume friend – Tiare by Ormonde Jayne (A Friend in Need). At that point I had almost no followers, so not too many people read that post back then. In short: the traces of Tiare on my bath robe had supported me through hard time of being sick, and feeling grateful for that, I decided that I would bring that perfume with me when I go to a tropical vacation. 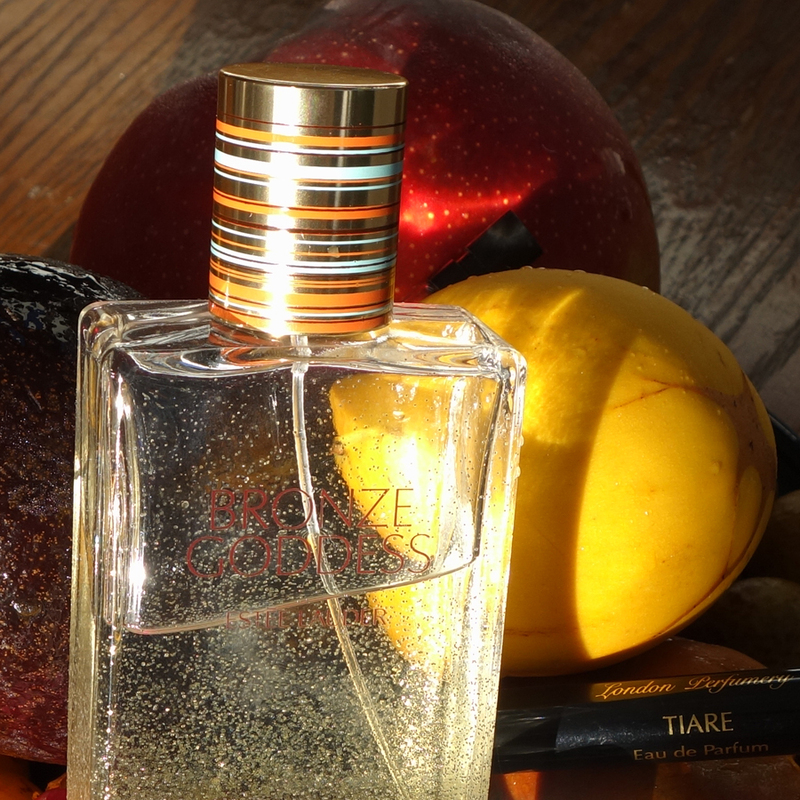 In the evenings when an ocean breeze would put out a day heat, all dressed-up for dinner I would adorn myself with Tiare. I truly enjoyed her company. I think it is a perfect perfume for a tropical night out. It feels so right in place on the open terrace under the moonless starry sky, surrounded by palm trees and the sound of the invisible ocean just a hundred steps in front of you. And a slick travel spray will fit even into the smallest purse. Since then Tiare had traveled with me to three different Hawaii islands – Maui, Kauai and Big Island. And every time it felt just right even though this tropical flower perfume doesn’t smell like a tropical-style perfume. Last year instead of Hawaiian we went to Europe in summer and to Utah in winter, so Tiare stayed hidden away in my drawer. And since I wasn’t sure if we would go to Hawaii this year, I recently decided to wear it to the office. And it was a mistake. That’s when I knew that I had to book the next trip to Hawaii – to restore our friendship, if nothing else. Have you ever had that feeling that your favorite perfume wasn’t right for the place you wore it to? This entry was posted in Favorite Perfumes and tagged Ormonde Jayne, Tiare. Bookmark the permalink. I too have had moments where I feel my perfume isn’t quite right for the location and like you lots of times it is work related. There are also perfumes I would rather save for certain times of the year or occasions. At the moment I have a bottle of discontinued Pacifica Mexican Cocoa and have decided to make this my Christmas holiday scent. I find it a bit sweet to wear to the office but think it will be perfect for the holidays. I have 3-4 perfumes that I designated as “for special occasions” (for sentimental reasons mostly, not because those are extra-expensive or rare), so I don’t even try to wear those for anything else. I will not wear most of my favorite perfumes to work for fear that the next time I were to wear them I’d think of the office. That would ruin them for me forever. I also have seasonal scents that I reach for only at certain times of the year. I also have bedtime fragrances that I never wear during the day. I’m not sure I have a perfume that’s perfect for every single occasion unless we’re counting those basic “just smells nice in a general sort of way” perfumes that are really more like body sprays and fade quickly. So yeah, I definitely agree with you on the time and place for everything idea. Oh my gosh Poodle, I could not have said it any better! I totally agree with everything you said!! You are my perfume sister…Lol!! Oh, poodle… Your office sounds like a very wrong place to be. I’m so sorry if you can’t change that part of your life. But at least you’re protective of your favorites, and I hope you have enough occasions to enjoy them. 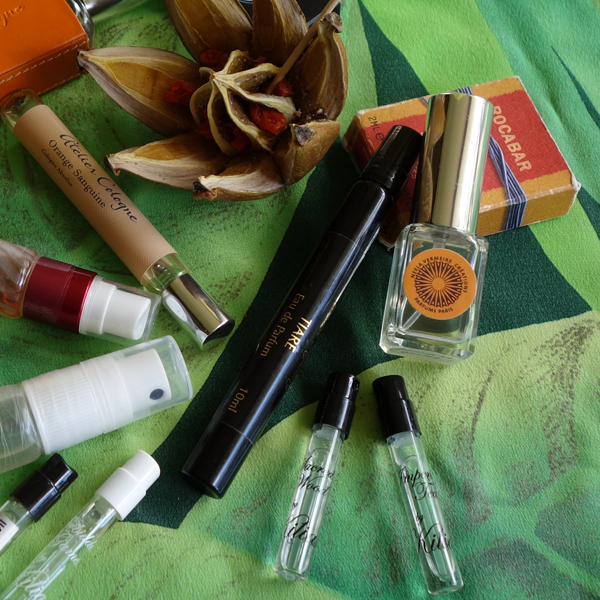 I do follow seasons with my perfume choices – even though temperature fluctuations are not that significant here. The best word to describe my office right now is toxic. All of our locations are toxic and the 1 star reviews on Indeed and Glassdoor let me know it’s not just me who thinks it. I am trying to jump ship but I need to find the right thing to jump to. I do enjoy my favorite perfumes after work. I hope you’ll succeed soon. I know how hard it gets to find the right place and persuade that place that you’re the right person for them. Good luck with it! I hope to read one day about a new bottle you bought to celebrate a new job. Usually finding a perfume “wrong” will be when wearing it in unstable weather with quick changes of temperature, like it is in early spring. Certain ambers may be great in the morning with near freezing temperature, and feel suffocating in a warm, sunlit room at noon. Wednesday I wore Carillon pour un ange to work, I needed something calming, interesting and which would give me strength to finish clearing my office ( my workplace moves to a new building). Not only had I forgotten I would go directly to a meeting, but seriously I forgot the staying power of this one and the scent was still humming along at 2 am, some 14 hours after application. In the end I wanted to get rid of it! And this is a Tauer I’m thinking of buying, have finished multiple samples and I find it unique. I’m well familiar with that issue with ambers. Since we don’t get a long cool/cold weather season, I periodically get into that situation when in the morning I think it would be still fine but by the afternoon realize that it was a mistake. So interesting how different places and conditions completely change our perception of certain fragrances. Enjoy your vacation, dear Lucas. I hope all perfumes you take with you will feel just right. I hope they will be! Woohoo on booking your vacation to Hawaii! When are you going? I really should go…I have 2 cousins there and an open invitation from one cousin to stay at her place. She and her husband are retired, have no children and live in a 4 bedroom house. I’m thinking that’s probably a standard sizes house there but I don’t know for sure since I’ve never looked into real estate there. From my recollection, the only time a perfume I wore felt wrong was when I wore SDV on a day I had a scheduled lunch with the head of our buisiness unit and the location was the top floor of our building. After lunch, the elevator going down was quite packed and I was on the lowest occupied floor. Let’s just say the booze was very potent and it wasn’t because I drank anything alcoholic at lunch. As to whether or not I have perfumes that I pretty much only wear during vacation, not by design but by circumstance, I have a travel spray of Chanel No.5 EDT and it is my vacation Emergency Back-Up Perfume so its permanent home is inside my toiletries case. I love it enough to buy it, but not obsessed enough to buy a bottle to wear while not traveling. And I meant to mention that if the link contains material that you or your readers may find offensive, chop away! We’re going in the end of the month. Yay! I usually keep quiet until after the trip, but since these days we cannot leave Rusty alone, and somebody will be living with him, I’m less paranoid to give out this information. I’m sure I’ll write at least one post based on the trip. Chanel No 5, in any concentration, is one of those perfumes where our siblings connection fails: I still cannot wear any of those. I mean, I would if I had no other choices (there are some perfumes that I wouldn’t – no matter what), but having a choice, I choose not to. Woo Hoo Undina! Off to Hawaii! I’ve never been but everyone tells me I should. As to wearing things out of place, to be honest I might be a little insensitive in that way. Not having a share space kinda job it isn’t something I deal with. Now if you want to talk overspritzing? Then I may have some stories of poor choices. I’m trying to spray more on weekends – to compensate for the work week. But I so got used to NOT to overdo my perfumes. But I’m trying! HA! Scott asked me to do 27 sprays of Aromatics Elixir the other day, and I did. Then we went and did the shopping and office stuff. I was nuclear! :) It’s almost a Halloween story. In short: Yes, very often. We had the hottest summer ever, and no perfume was quite right, until I rediscovered some forgotten jasmine perfumes. All my usual Danish Summer perfumes have had no time this year. I finally have the time to post comments as well as posting :-D, and am happy to know that you don’t mind late commenting. Hooray for you booking your next Hawaii holiday! I actually enjoy late comments: it allows me more time to communicate with each of the friends. Several years ago while traveling in Ukraine in summer, I realized how poorly most of perfumes that I brought with me behaved in hot and humid weather. Since then I made some adjustments but those work only for vacations in such weather; for work I wouldn’t know what to do. Luckily, our summer this year was truly exemplary. But I sympathize a lot with everyone I know who suffered through this endless heatwave. As I told to Asali, it’s actually easier on me when people keep trickling in: since I usually cannot do it from the office, I feel bad leaving my commenters without responses for almost 24 hours. So when I do not need to attend to more than 4-5 at a time, I feel much more comfortable that I can spend enough time with each of the friends as they “come in” :) Also, it gives some sense of the “prolonged shelf life” of the post. Wearing too much of perfume might easily contribute to that “out of place” feeling. On a couple of occasions when I mistakenly put on too much (not remembering either perfume strength or my meetings schedule), I felt awful, hoping that my co-workers would survive. I can relate so easily to this post, Undina. Open-plan offices are not the best place to test a big new floral, as I have discovered. And then sometimes, I do get a kick out of wearing a fragrance that’s completely out of place. For example, wearing something posh to gym. I do wear amouages to do house cleaning sometimes, and it makes me smile. That’s the way to go, Undina.